I think we feared the worst as five of us assembled at the start of the Brampton Valley Way for the start of today’s 50-miler … because the rain came down and didn’t stop for the first hour and a half! And, OK, this was “billed” as the “Four Reservoirs” ride – but they were supposed to be in view on the horizon, not streaming around our bikes! Was that set in for the day? Anyhow, by the time we’d had a welcome coffee at Guilsborough, the skies cleared somewhat and we started to dry off. 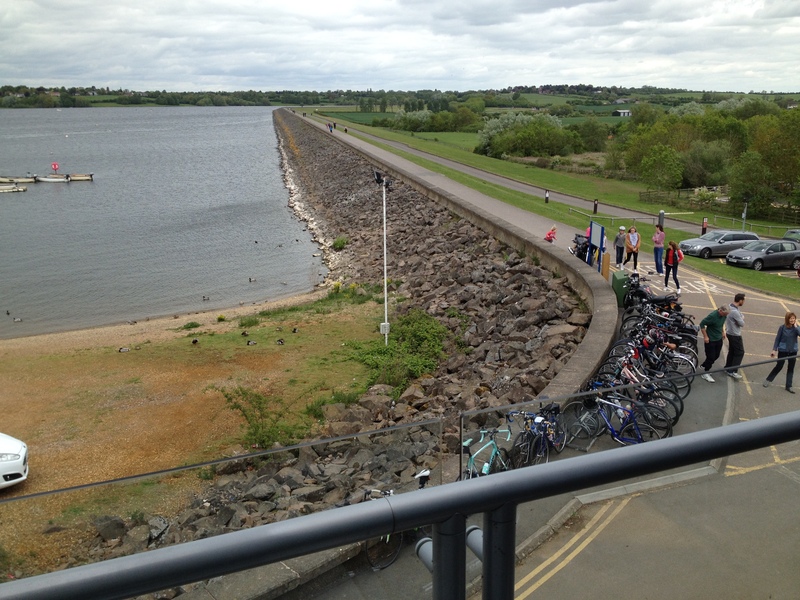 So we ticked off Pitsford, Hollowell and Ravensthorpe reservoirs before stopping for brunch at Daventry Country Park and its reservoir. 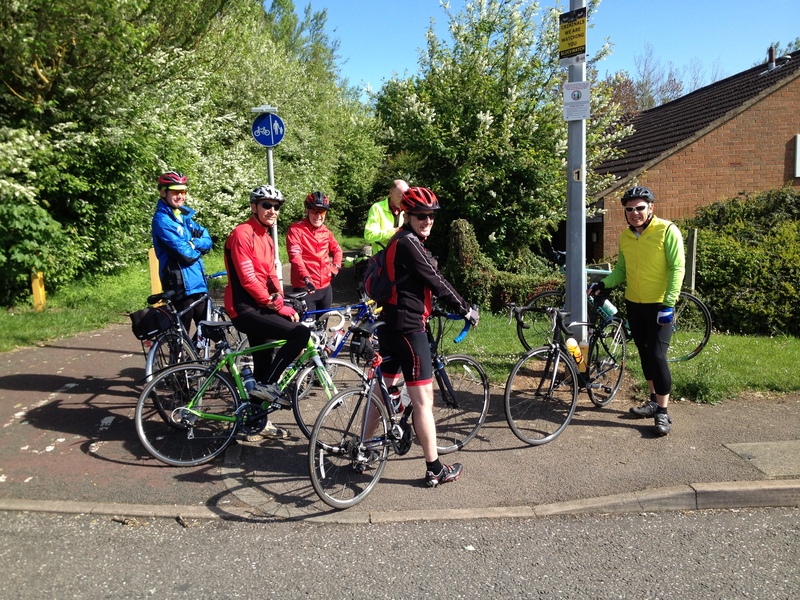 But the climate still had a short, sharp shower up its sleeve as we headed into Brington! It was an enjoyable ride – good to see folks again!